Ever wonder why we can't find jobs and who is behind it? 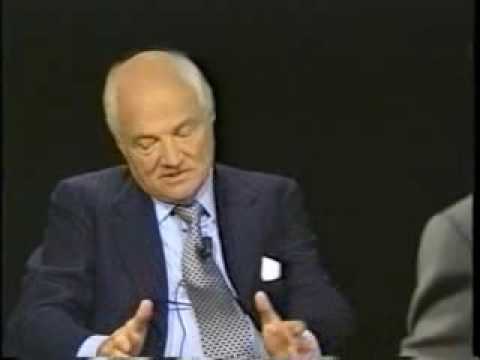 Here is a very interesting Charlie Rose interview from 1994, very prophetic and thought provoking. It's in 6 parts, but I recommend watching it over the weekend, if you have spare time. We had two back to back inside days on the SPX. Is that rare and of any significance? Thanks Poly, I was able to watch 2 parts. Sir Goldsmith is shocking in his ability to see with clarity what the consequences we to be. I appreciated his candor on the motivation of governments and corporation. This interview was from 1987 correct? I would like to see his present views. Scary and insightful. "This interview was from 1987 correct? I would like to see his present views. Scary and insightful." Nobody's gonna stick the genie back in the bottle. Period. This is another co-opt window of time, after the fact, analogous to FDR's response, a philosophy which was and is "co-opt". What matters now and has actually often in econ history is the focus on employment. Yes, Goldsmith was right, and to today he's right. Cheap foreign imports are the name of the game, not Tyson's misrepresentation that foreign production would be for foreign consumption. The store of value concept is dead. It got deader in 2007 with the worldwide, first world RE bubble implosion. The only question for me is what assets will rise in price as the world seeks the only solution, a continuing erosion in the value of first world labor, thus addressing what Goldsmith referenced as the 47 to 1 labor advantage on 25% of the cost structure. Immodestly, I've foreseen and notified my major subcontractor that textile work would begin to return to the US, and this year it has begun in earnest. A continuing degradation in the value of the fiat exchanged for cheap goods will not come to any abrupt halt. Those holding fiat and near cash, aka government bonds, have seen their life savings eroded significantly, and will so more in the future, wish that they would otherwise. My personal hope is that shared by Sinclair, that the PM's will regain and retain their value as store of wealth/economic empowerment. If so, they must rise dramatically, as seen in terms of units of one; they'll double, just like they doubled in the recent past and nearly doubled again recently as well. So, 4000 gold is a nothing burger, no different than 500 to 1000. No different than a 25 cent movie in 1952 is a $10 movie today. It's still the same price, but the numbers assigned to the economic event have expanded due to inflation. As inflation rises and labor remains irretrievably lost and tied to Asian labor in a cockamamie rube goldberg reality, the Asian advantage will erode, and potentially a major devaluation will terminate their store of first world fiat before they employ it to acquire more assets in the world, my bias not showing of course, ahem. Geithner could face Criminal Charges. Thanks for posting this. On a side note I have a friend who ran several companies that used China factories that always says, " Globalization means equalization", meaning other countries rise their standards of living and we lower ours!